I went back to Tacloban one year after the biggest typhoon believed to ever make land struck the Visayas, the central islands of the Philippines. Typhoon Haiyan (locally known as Yolanda) left death and destruction, destroying people’s jobs, their homes, their schools and health clinics. There was so much debris on the road from the airport to the town it prevented the much needed rescue operation getting under way for several days. I visited with the UN Humanitarian Chief Valerie Amos, flying over the city and it was like as if somebody had tossed their toys out of a pram. Masts were mangled, cars and motorcycle taxis strewn around, ships gone aground and everywhere the corrugated tin roofs and houses blown to shreds. A tidal wave caused by the storm killed many hundred of people living along the shoreline in shanty towns. One aid worker travelling to a meeting a few days after the typhoon saw the leg of a dead child sticking out from under the debris. Stopping at the spot to rescue the body on his return, they lifted some of the debris to find 50 bodies beneath. These were the poorest of the poor; the people who live in shanty towns built on the shores of the ocean and whose only means of earning a living is by fishing. Many are undocumented, probably never registered at birth adding to the uncertainty of just how many died during that time – we may never know the true numbers. 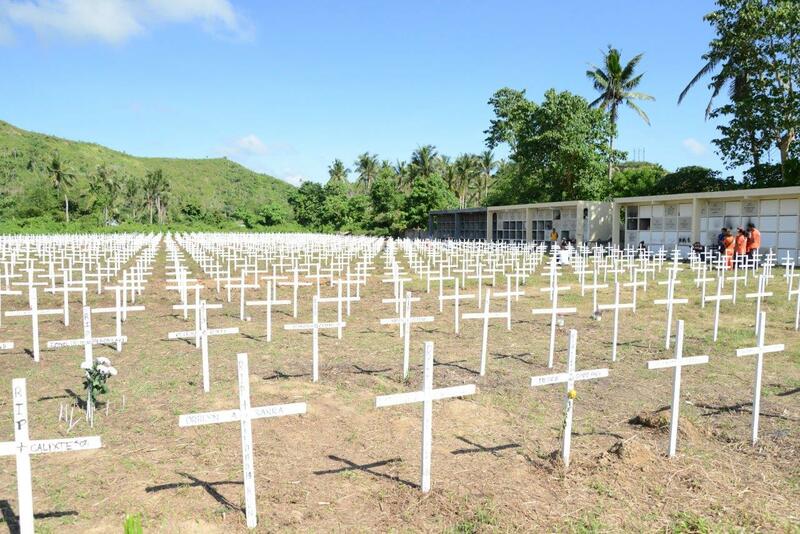 One year on and Tacloban is a different city. Traffic is back, people are trading on the streets again, the city is alive. There are large numbers of very vulnerable people who remain living in less than ideal conditions and there are concerns that when the next puff of wind comes along, they will be the most affected. The very poor have no safety nets. To truly protect them, you would first need to tackle the problem of endemic poverty. However, standing in the streets of Tacloban and looking around the improvement is remarkable and visible. All is not perfect, but in true Filipino fashion, they have dusted themselves off and are getting on with their lives. Their resilience is awe inspiring and often times humbling. Jeff Manibay is one such example of Filipino resilience. Both his elderly parents died during the typhoon. “We are well used to typhoons,” he told me, “but nobody expected the tsunami-like surge of water that came.” With the death of his parents Manibay lost almost everything he held dear, including his business. The owner of a small cable network Cat8, all Jeff’s equipment was lost when the ocean surge crashed through the streets of Tacloban. His team were out filming the typhoon at the time. Rather than wallowing in pity, Manibay set out to rebuild his life, energising the community and bringing them together to remember those who were lost during the typhoon. 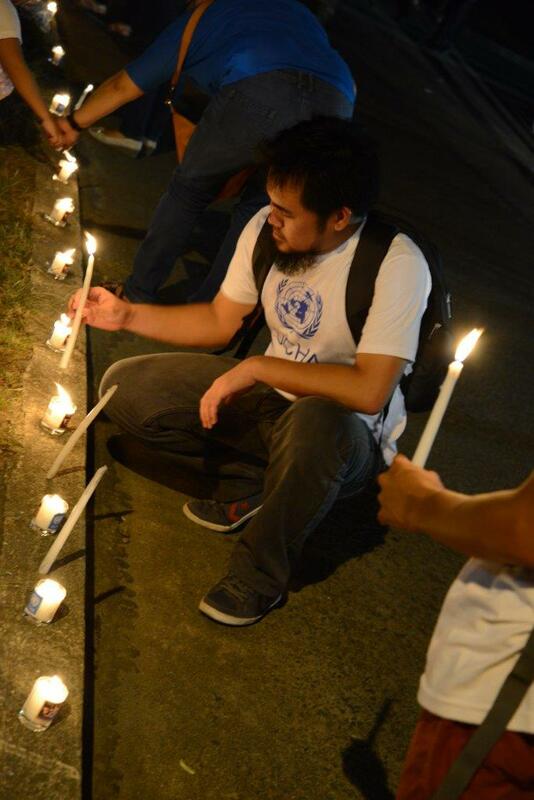 He organised the candlelight vigil and worked tirelessly to ensure people across the Philippines and the world do not forget what happened to them. 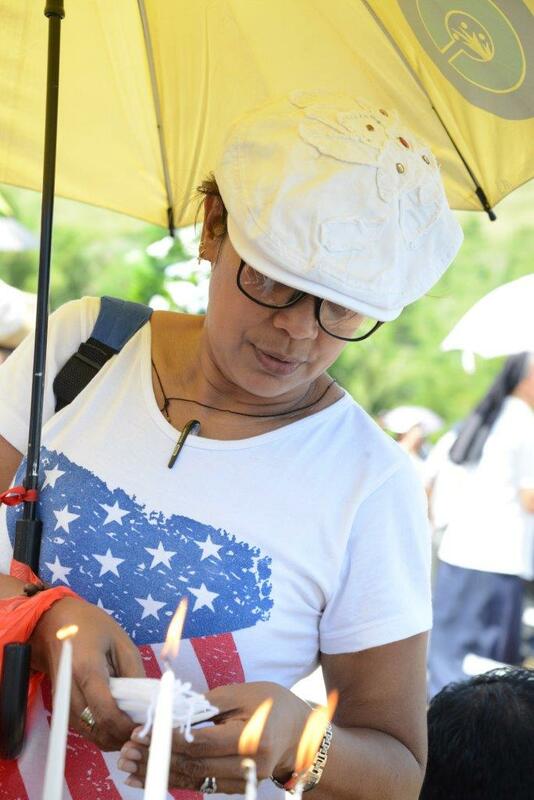 Mass was celebrated at the graveyard in the morning where the victims were buried. Thousands came to mourn their dead. I watched one woman stand alone at a grave, head bent, sobbing silently. She was like so many others who came. The heads of the UN agencies came to pay their respect, as did the non-government organisations who were so crucial to the recovery efforts in the clean up operation. 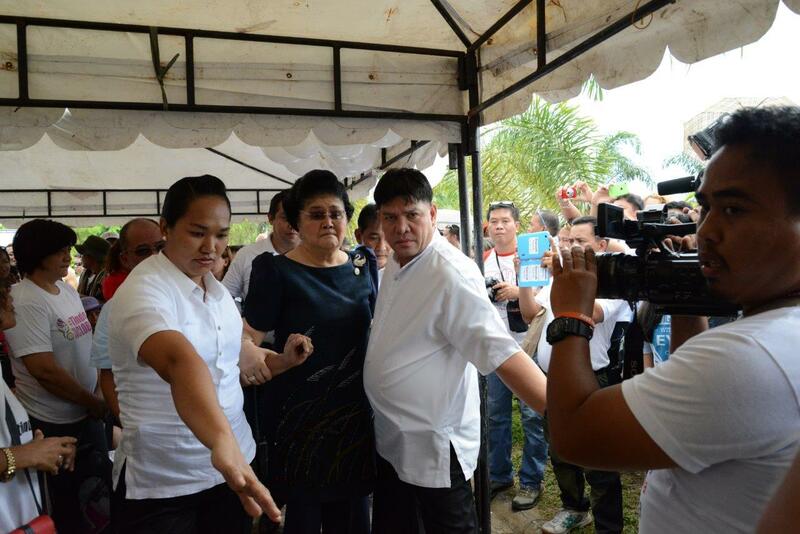 Tacloban is Marcos-country and Imelda herself arrived via helicopter. She was then brought in a wheelchair to the awning, where she sat at the top row. I know the woman is 85 years-old but she has had some amount of plastic surgery, not a line on her face, or her make up was so thick you just couldn’t see what was behind the mask. She was wearing a wig and had a beautiful diamond swan broche pinned on her dress. She was wearing a pair of Ecco sandals, which resembled something a nun would wear… I wasn’t impressed with the choice of shoes from a woman whose footwear take up the contents of a museum in Manila. The Marcos and Aquino families are political opponents, so there was minimal representation from the government, which is currently Aquino-led. The Mayor (a relation of Imelda) is critical of the government’s response to the recovery efforts. At the end of the day everything is political, even rebuilding communities after a typhoon. That evening people lined the streets in a candlelight vigil that stretched for over 24 kilometres. The atmosphere changed from the somber graveside prayers earlier in the morning to an almost carnival-like celebration with candles lined along the main streets, winding around the side roads and out as far as the settlements housing those who lost their home duirng the storm. I was privileged to be able to return one year after Typhoon Haiyan; privileged to stand with the people of Tacloban; and privileged to call some my friends.